Orlando Site Prep, Excavation & Land Clearing, Which Method is Best? What land clearing, site preparation, excavation, and grading methods are best for your Central Florida construction project? The details matter for a successful land clearing. What regulations and rules does it need to adhere to? How will you handle the storm water, water runoff, and collection? Are there any regulations concerning the nearby waterways? Are there any abandoned structures, above or below ground, hazardous materials or existing underground utilities? What type of equipment will be needed? 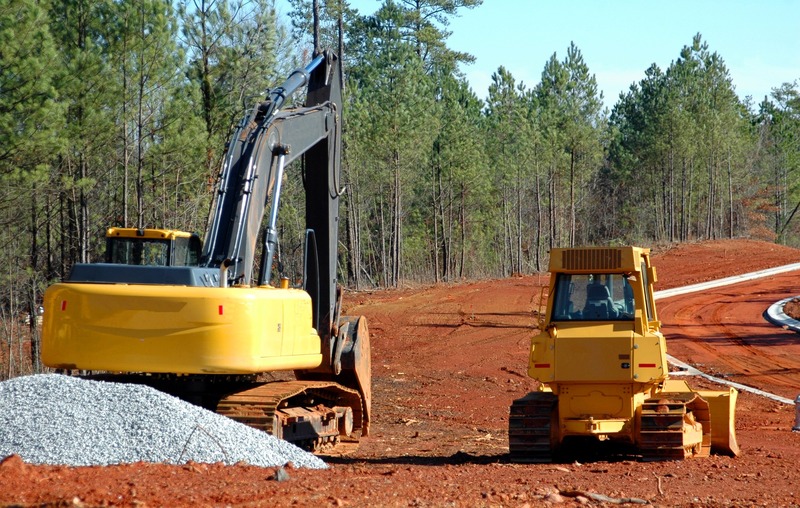 Before you can begin any construction project with raw land, it needs to be properly cleared. All the trees, rocks, and bushes, as well as any debris that has accumulated. It may seem simple enough, but it involves a strategic plan, heavy equipment, experience, permits, an understanding of the local regulations and laws. Land clearing techniques have come along way in the last decade. Modern methods allow for safer and environmentally alternatives. Not all properties are the same, the method best for your project depends on several aspects. To ensure a successful project, careful planning is always key. For example, some areas may require the foliage and trees to be pulverized, while others may allow burning. If you are having trees removed on a lot under an acre with an existing structure, many areas do not require a permit, but maintain at least 80 cumulative trees inches per acre. It all depends on local regulations. State of the art equipment is necessary for a cost effective land clearing project, it also ensures the job is done right. The last thing you want is problems down the road. With over 130 pieces of heavy equipment, Swell Construction Company ensures that no project or task is beyond our limit. Quality work for over 30 years, staying on schedule and under budget, has earned us our outstanding reputation throughout Central Florida.